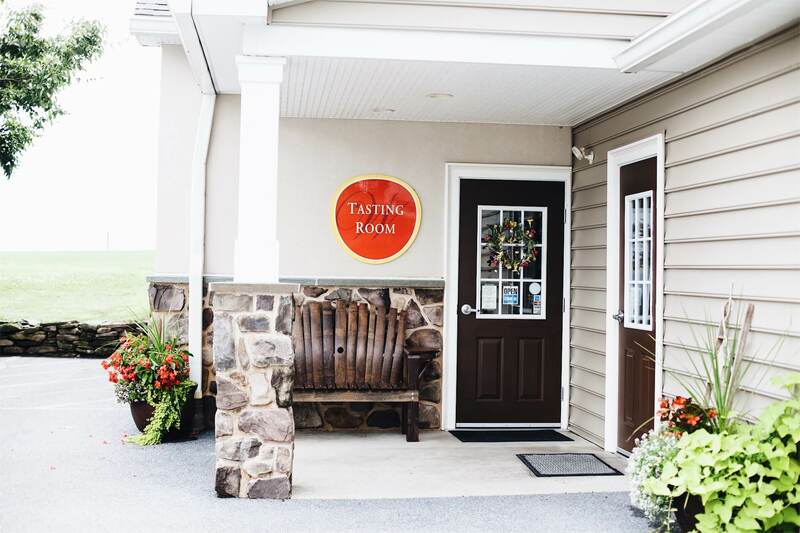 Visit our European-inspired tasting room and enjoy a truly unique tasting experience! 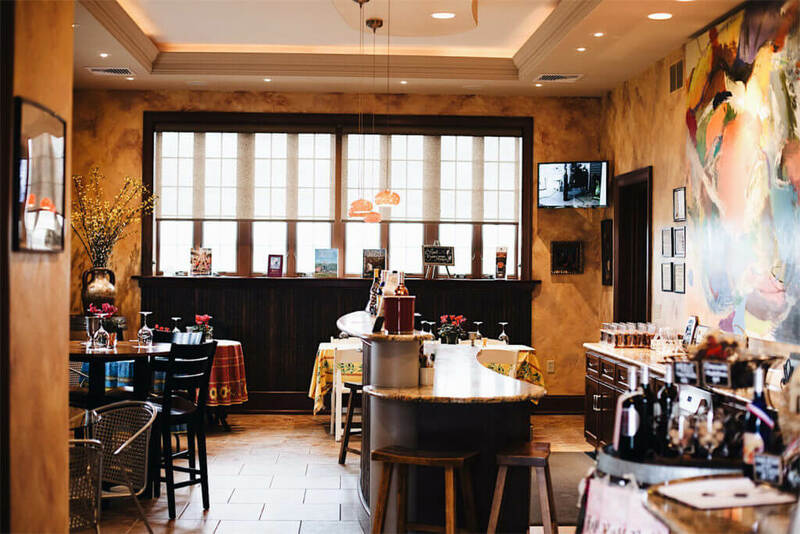 Enjoy local artwork, artisan cheeses and chocolates as you sip our handcrafted wines. Our popular tasting flights allow each guest to select five wines from the current releases. A local cheese, cracker and chocolate plate is available for purchase with your flight. All of our wines in this experience can be purchased by glass of bottle. How Much Does It Cost To Do A Tasting And What Does It Include? A full tasting costs $12 (plus tax) per person – this includes a flight of 5 wines of your choosing (each wine is a measured 1 ounce). We also offer an individual small wedge of local cheese along with local crackers and chocolate for an additional $5 per cheese portion. What If I Don’t Want To Do A Full Tasting? We can offer you 2 complimentary “splashes”, with the option to purchase a glass or bottle of wine. You may also add the local cheese, crackers and chocolate mentioned previously for $5 per cheese portion. 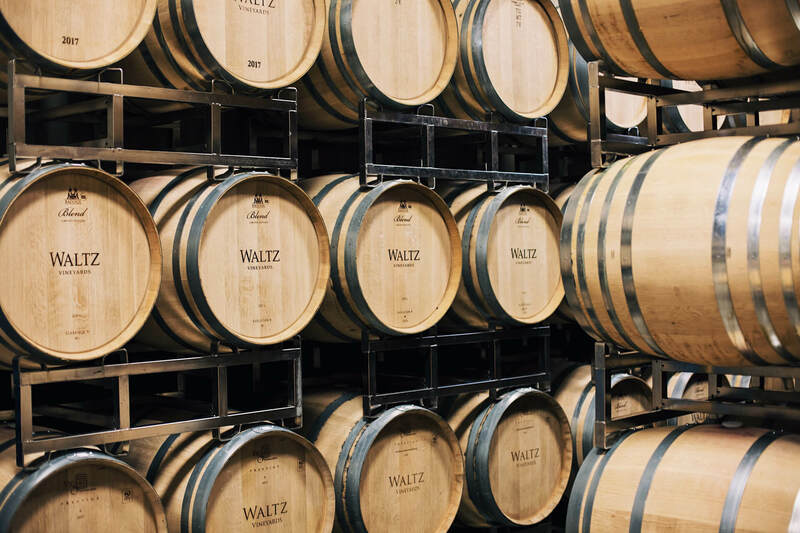 Can I Bring My Own Food Into The Tasting Room? We respectfully ask that NO FOOD be brought into our tasting room. 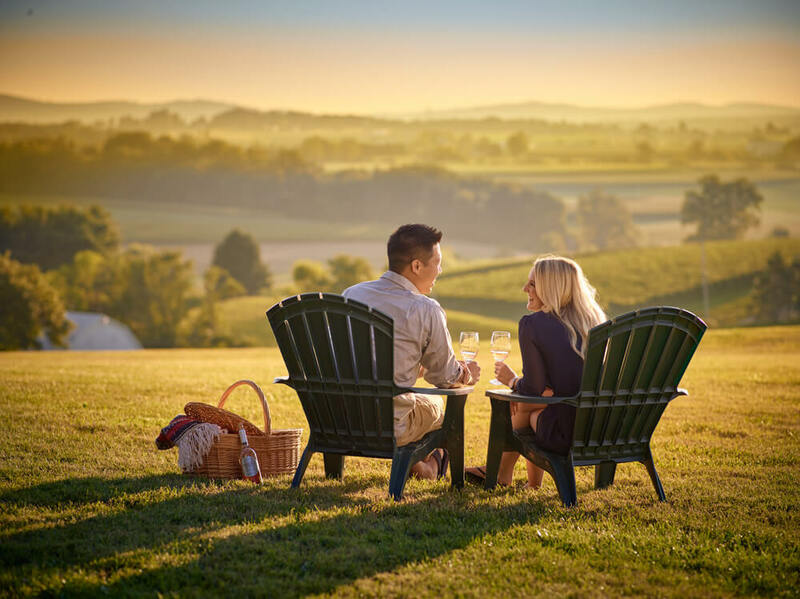 You are welcome to enjoy a picnic outside along with a glass or bottle of our wine on our lawn overlooking the beautiful panoramic views of Lancaster County. 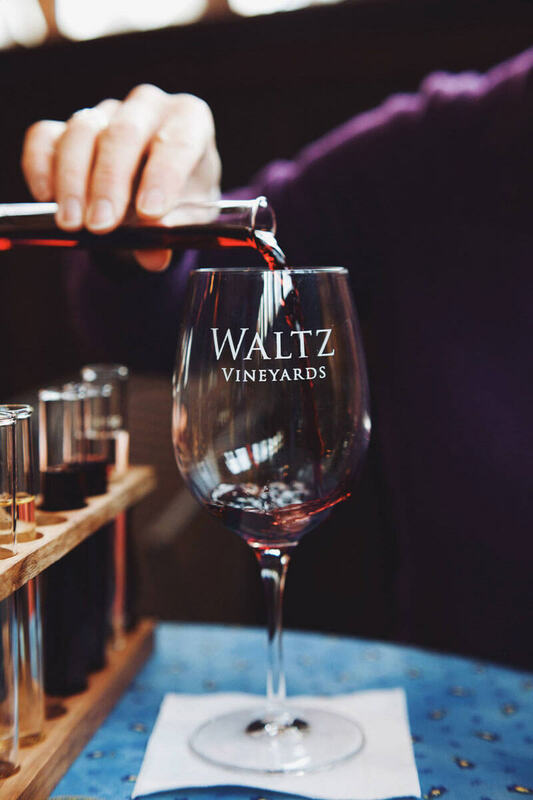 We would also like to remind you outside alcohol is strictly prohibited by the Pennsylvania Liquor Control Board anywhere on Waltz Vineyards property. Any outside alcohol that is brought onto the property will be confiscated and you will be asked to leave immediately. We love animals, but we do not allow pets in our Tasting Room. Service animals are permitted, providing a valid certification is available upon request. Dogs are permitted on the lawn providing they are kept on a leash at all times, and please clean up after him/her.